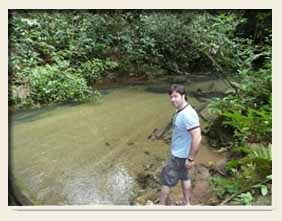 Belize Private Tours and Excursions - A must for Belize Cruise Ship passengers. Welcome to Belize Private Tours ! Belize is truly Mother Nature's Best Kept Secret. Belize is a very unique and beautiful country. It prides itself as one of the most ethnically diverse and peaceful country in Central America. It still remains as the only English Speaking Central American Country. The country is world renowned for its: Mystical Mayan Archeological Sites, Waterfalls, Rivers, Lagoons, Lucious Tropical Rainforest and Outstanding Barrier Reef. Whether you are looking for a romantic getaway or a family holiday; whether you want to stay in an intimate guesthouse or a luxury resort; whether you want to be adventerous or just relax, we at Belize Private Tours can assist you. Discover Belize With Us ! Catch the Real Adventure ! We provide a wide selection of comprehensive excursions in Belize to the same leading sites offered by the cruise ships but with a lot more savings. Reserve Your Tour Today ! 10% Group Discount Rate - Available on most tours. © 2008 Belizeprivatetours.com All Rights Reserved |Belize Private Tours Logo are trademarks of E-Ventures. Ltd.